Are you excited to finally be home from the hospital with your precious little baby? Your first reaction is yes…but… Now you have many questions about all aspects of what your baby needs. You and your partner are solely responsible for the little angel. He or she will need to be fed around the clock, their dirty diaper changed often and need lots of your attention day and night. For many new parents, the first few months with your newborn will be a challenging learning curve. Sleep is the biggest challenge. One thing to remember is that every baby will need to sleep safely in a bassinet or crib and also need tummy-time to play. Here are some helpful tips as a guide regarding physical development for your baby. An infant’s head is very large compared to their body and many regions of the skull have not been fully developed into bone. These are known as fontanels also known as “soft spots”. There are two large diamond-shaped fontanels in the front of the head and one smaller triangular-shape fontanel in the back of the head. The fontanels will eventually fuse together naturally over time. Until this happens, your baby’s head is very delicate until it forms into solid bone. Sleep safety is so important. The Safe to Sleep campaign, also known as the Back to Sleep campaign, is an initiative that is supported by the United States Child of Health and Development at the US National Institute of Health to encourage parents to have their babies sleep on their backs to reduce the risk of SIDS. Sudden Infant Death Syndrome, also known as SIDS, is the leading cause of death of babies within the first year in the United States. There is not one specific reason as to why infants die suddenly in other sleep positions. Many experts have concluded studies that showed an infant who slept on their stomachs were oxygen deficient or unable to unable to get rid of carbon dioxide. Since the campaign was established in 1994, there has been a decrease of SIDS more than fifty percent. The campaign has been successful in significantly reducing the number of infants who sleep on their stomachs and it continues to be relevant today. The American Academy of Pediatrics also supports the safest sleep position for your baby is on their back. When putting your baby to sleep, many experts recommend swaddling your baby in a light cotton or muslin as a soothing method which mimics the womb. Swaddling is an age-old practice of wrapping a baby in a blanket or similar cloth so movement of limbs is tightly restricted. A baby’s head can still move side to side. Swaddling keeps the baby’s body warm and safe without the use of an extra blanket. Always place the swaddled baby on their back in a bassinet or crib. Placing your child on their back keeps the air passage open. There are no obstructions to their breathing. A pacifier is recommended in preventing SIDS and a self-soothing method for your baby. The sleeping area should be dark and consist of a firm mattress with a fitted sheet that fits snuggly against the frame. No additional blanket, pillow or stuffed animals in the sleeping area. These can be a hazard to your baby. Make sure to follow safety guidelines. When your infant outgrows swaddling, be sure to use sleep clothing like a sleep sack. It is a safe alternative than a loose blanket. Pediatric advice “encompasses common sense, safety precautions, and the essential central role of parent-child interactions”. Putting your child on their stomachs helps with motor development. Dr. Zachry, for the New York Times, states “start tummy timing as soon as your baby is home from the hospital”. As your baby starts to look at the world from different perspectives, they also are able to work their muscles and build the foundation of fine motor skills. Tummy time also helps prevent any development of flat spots on the back of their head. During your baby’s waking hours, put your baby on their tummy for a short time. It is suggested trying tummy time by putting your baby on your chest or your lap to start out. Increase the time as your baby gets stronger. As your child builds their strength, many parents suggest using a playmat. Many baby manufacturers have playmats that have features which encourage the little one with sound or vibrant colors. Your baby will also be strengthening their arm and neck muscles and controlling their head to view all the new objects. Be sure the play area is well padded and the baby can safely place its head on. The most important thing to do is make tummy-time enjoyable for your baby. Get down on the floor with your baby and read a book or play with a toy. Make sure to make the time on the floor interactive. 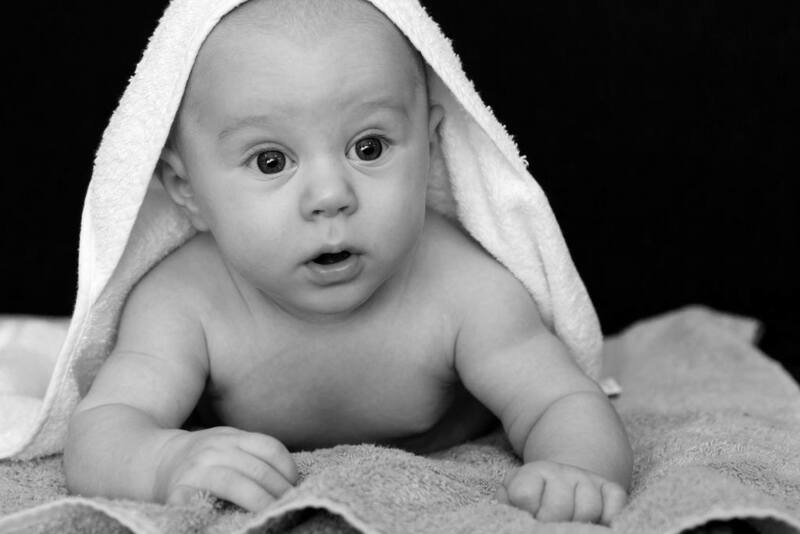 Practice tummy-time in a safe environment and your baby will start to build strong muscles while having fun. It is also beneficial to pick up your child in an upright position and to keep changing their position throughout the day. Your baby will also enjoy rocking and swaying from side to side. The little movements are calming methods that are helpful during crying episodes too. Our helpful tips are just a few suggestions to use as a guide. Many experts agree that a baby should sleep on their back. It is the safest sleep position. Having lots of tummy-time when they are awake is also advantageous. Your baby will reap the benefits in having sound sleep and also build strong muscles while interactively playing. They develop cognitive and physical skills while also building a strong parent-child bond. As the saying goes, work hard- play harder… but in this case, we say - play hard, sleep harder!